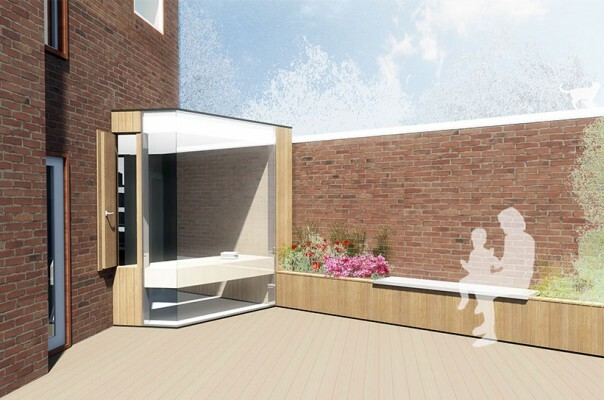 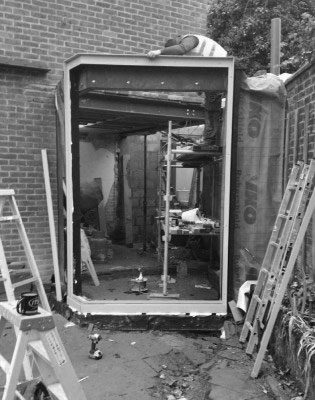 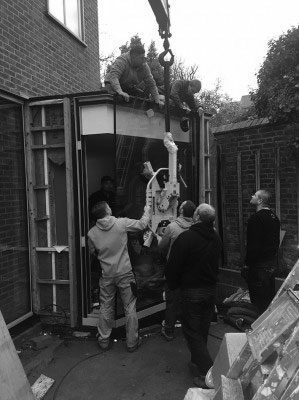 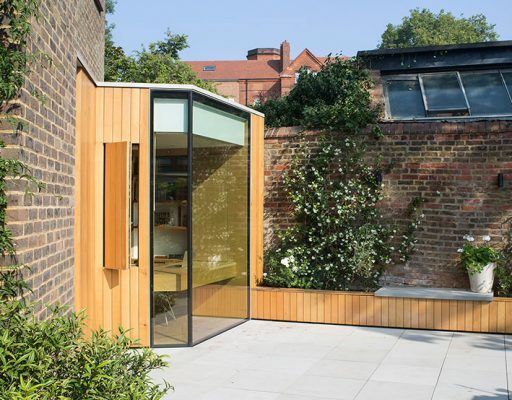 A small extension to a house in Belsize Park, designed to expand and reconnect the existing study with the rear garden. 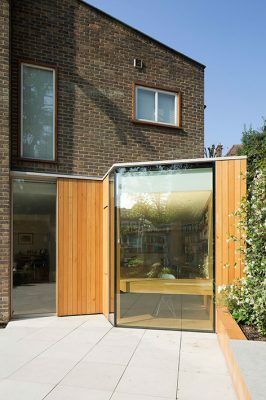 The project is designed around a large picture window projecting out into the patio and garden area. 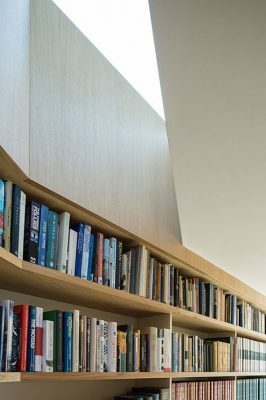 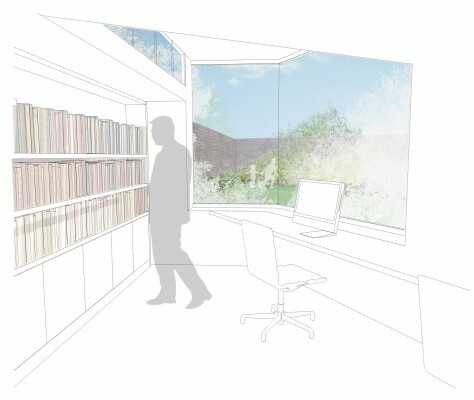 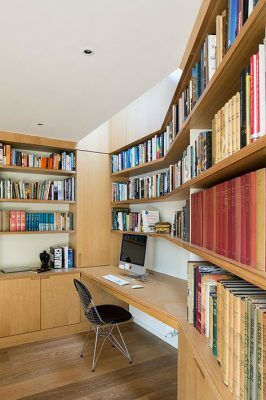 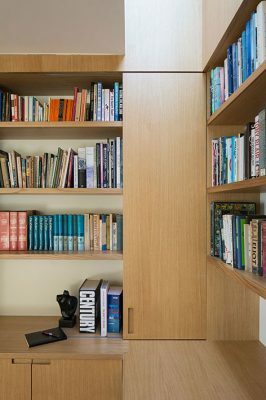 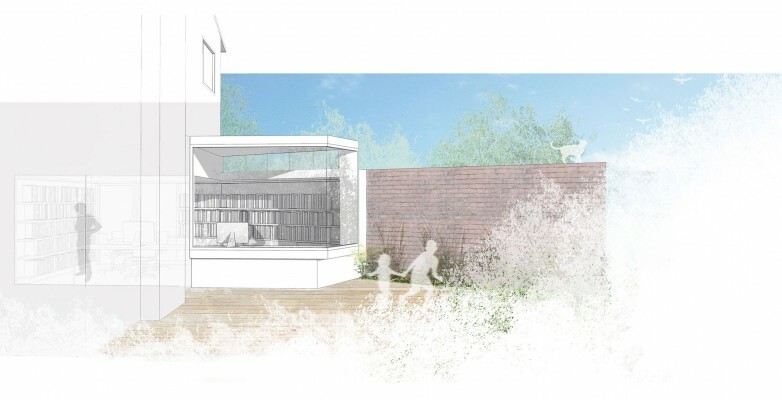 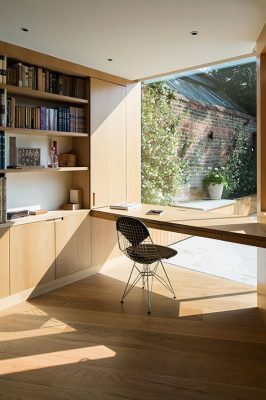 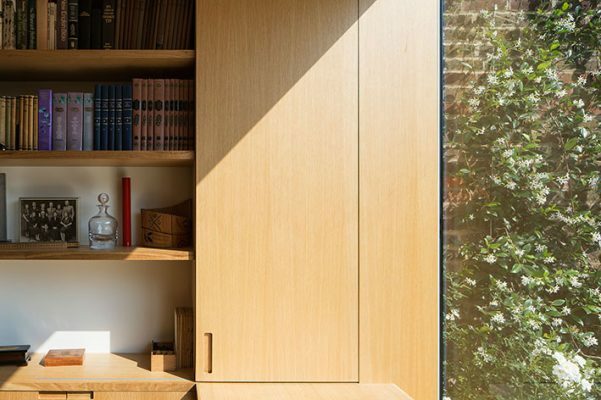 The new study encloses against an existing garden wall with bespoke joinery and desks carefully integrated into the building form and glasing. 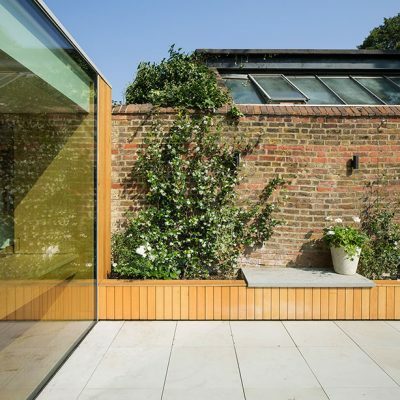 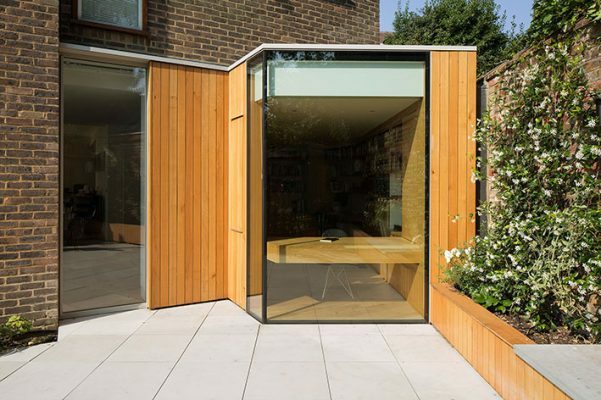 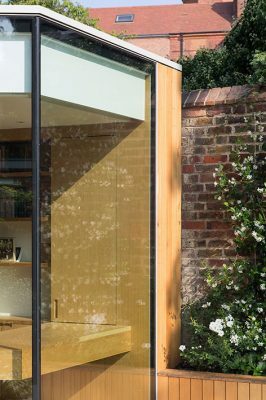 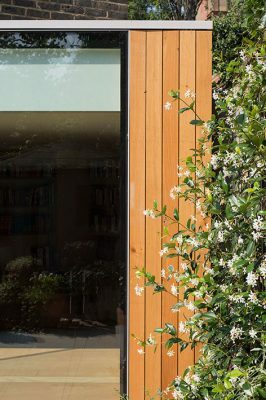 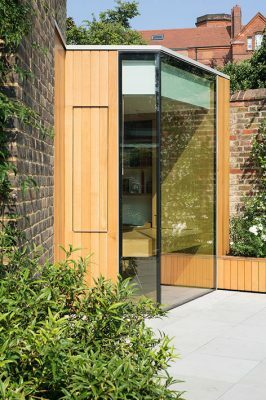 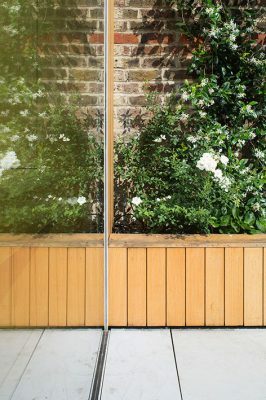 Oak cladding wraps back against the existing brick façade creating a pocket for a new sliding door, allowing direct access to the garden from the living room. 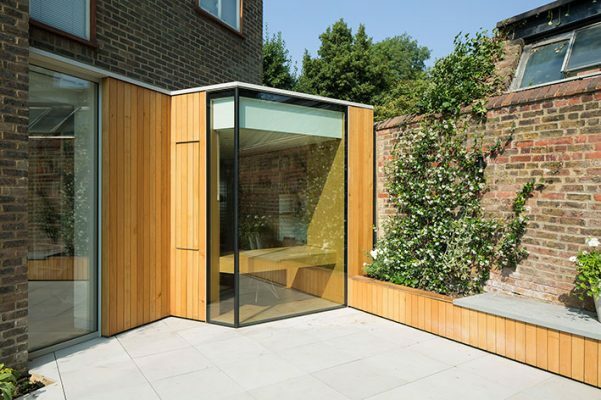 Oak linings internally and externally establish a strong connection between indoors and out with a raised planter and bench extending the building line further into the garden. 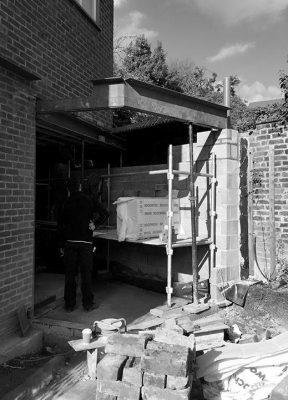 The works also include the complete refurbishment to the ground floor of the property, with new kitchen, dining and living areas. 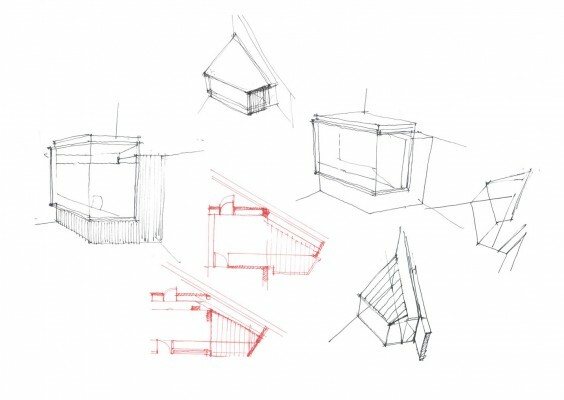 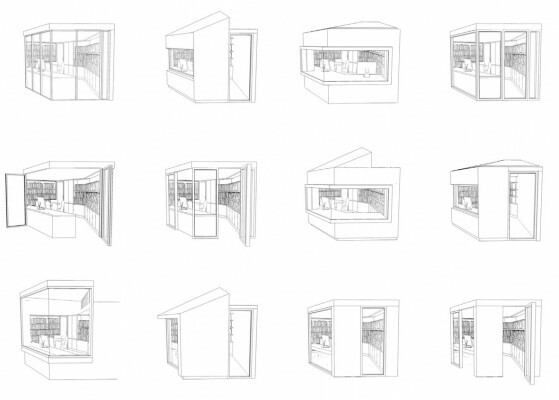 Developed within permitted development rights and a fixed maximum floor area, various sketch designs were produced investigating, light, volume, view and access.